AI driven Forex Trading Robot – first of its kind! A lot of emotions come into a person’s mind upon hearing the phrase ‘Forex Trading.’ A significant percentage of people consider it a way to get rich quickly. And an equally considerable lot consider it equivalent to gambling and a way to invite financial disasters. Whatever the case may be, everybody, at least once in their life, have tried their luck at forex trading. So, what exactly is forex trading? It happens in the foreign exchange market, which is the virtual stage where currencies are traded. It is needless to emphasize on the importance of currencies, as the same is required to be exchanged for conducting international trade and business. Forex trading has got plentiful of advantages associated with it. The biggest one being that it offers the highest level of liquidity relative to any other financial market. However, it has got its share of disadvantages too. Since forex trading has high leverage associated with it, the loss incurred by the trader also gets exponentially increased. If a person enters into the foreign exchange market without any prior knowledge or experience with a hope of making it big in the forex trading world, they will most likely face their worst financial nightmare. Moreover, the forex market has a factor of extremely high volatility attached to it. Since the markets are open 24/7 and 7 days a week, a forex trader requires to be glued to their computer screens for the major part of the day in order to get hold of a profitable trading opportunity and monitor prices. This clearly indicates that a professional forex trader has to sacrifice a lot from their personal life. Including a disregard for their health. Hence, here is where forex trading robots conveniently come into play. What is Forex Trading robots? Static Forex Trading Bot: By static, it means that the algorithm on the base of which the forex trading robot takes decisions cannot be altered or modified. Such forex trading robots serve well only till the time market conditions are not changing. We all know that forex trading market is highly unpredictable and hence static forex trading bots are of no use, absolutely. Dynamic or Customizable Forex Trading Bot: As the name suggests the algorithm present in such forex trading bots can be altered, modified or completely revamped based on the market conditions. This is extremely beneficial for the forex trader as they can align the forex trading robot in accordance with the events and happenings taking place in the foreign exchange market. However, it does require the trader to have technical knowledge of coding, apart from having experience in forex trade. Can a novice trader enter Forex Trading, make profits and learn simultaneously? So, long story short, the forex trading is not everybody’s cup of tea. It requires sufficient knowledge, experience, and utmost dedication. Especially, if a person is looking to make a significant amount of profits through forex trading. But, what if I said you could make profits from forex trading without any prior knowledge or experience? You could learn the tips and tricks of the trade by dealing directly in the market. Yes! This may sound too good to be true, but ROFX Forex Trading Platform has made this possible. By introducing the Forex AI. The first of its kind forex trading robot is based on artificial intelligence and neural networks. This means that it can learn from market trends and make updates to its internal algorithms on its own. Check out the ROFX review to know more about it. The Forex AI is a boon for novice traders who are looking to make significant profits by participating in the trade as there is, absolutely, no requirement of any kind of special knowledge, analyzing ability or experience. 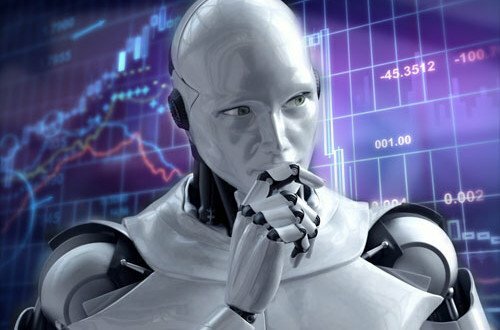 By employing the Forex AI robot to take trading decisions, a novice trader needn’t try various strategies to reach a final strategy which works. One of the reasons the Forex AI robot will automatically synchronize its trading signals in accordance with the best current trading strategy. Are there any other major benefits of using Forex AI robot by ROFX? One of the biggest benefits of utilizing the services of the Forex AI Trading Robot is that ROFX is the only automated forex trading platform which provides a loss coverage guarantee. The money put in by the trader is completely safe as negative results of trading, if any, are covered from the reserve fund kept by ROFX. Moreover, if a novice trader wishes to increase his/her knowledge of forex trading, he/she can always refer the logs generated by the forex trading robot to see and analyze the actions being taken by the robot. This enables the trader to learn in real-time, directly from the main battle-field. The combination of forex trading robot, based on artificial intelligence, and the loss coverage guarantee provided by ROFX is bound to revolutionize the field of forex trading as even novice traders will be able to reap the benefits. And make a considerable amount of profits without having to lose their money. Having a stable income is a requirement of everybody who is living on this planet. And with Forex AI robot, even novice traders can make a profit without having to actually take part in the bidding process. For those who are seeking financial independence and stability, utilizing the services of the ROFX automated trading platform with the power of artificial intelligence is the best option. 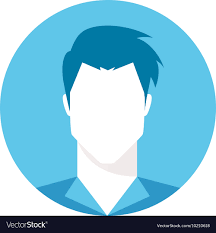 Almost everything has an advantage and disadvantages, but for me its an advantage of using FxLeaders as my Forex Trading Robot and it’s good to have it and experience all the benefits that I can have with FxLeaders. Anything you talk about attacks a nerve to me, many thanks for baffling your readers. Thank you for this, I’m going to definitely share this with my readers. alternative viewpoint that i am not really used to. Very helpful, nice one for keeping everyone up to date relating to your investing progression. Are you consistently utilizing this procedure? I have found this much more intricate in comparison with other traders in this market place.